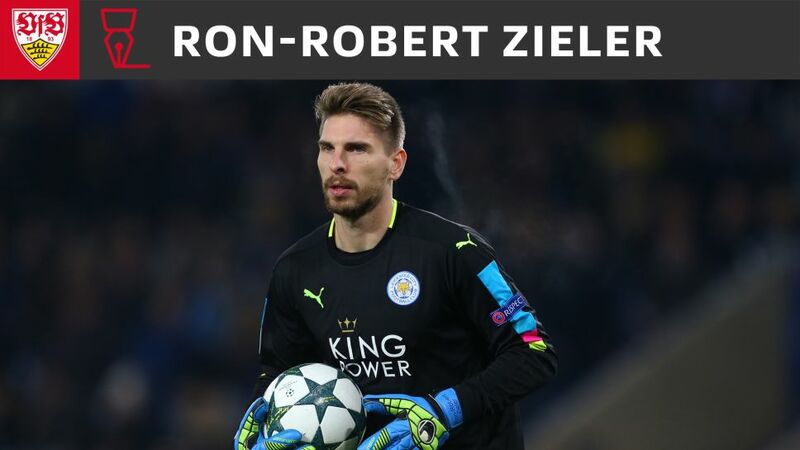 Former Hannover goalkeeper Ron-Robert Zieler has returned to the Bundesliga after signing for newly-promoted Stuttgart from English Premier League side Leicester City. Click here for the latest Bundesliga transfer news! The 28-year-old, who was part of Germany's title-winning squad at the 2014 FIFA World Cup, has put pen to paper on a three-year contract. "I'm delighted the transfer to Stuttgart has been completed," Zieler told the official VfB website after signing. "The talks with the club representatives were very persuasive and they made a lot of effort to bring me here. That gave me the feeling that things are growing at Stuttgart and I want to be a part of that. Now I want to get to know the team as soon as possible to give my all." Zieler joined Leicester in the summer of 2016, leaving Hannover, who had been relegated from the Bundesliga in the 2015/16 season. He made nine Premier League appearances for Leicester, as well as one in the UEFA Champions League and three over two domestic cup competitions. The custodian will now be looking to add to the 39 clean sheets he kept in 185 Bundesliga outings while at Hannover. Zieler becomes Stuttgart's sixth summer signing, as the club prepare for life back in the Bundesliga. Watch: Stuttgart take part in the first Bundesliga Media Day of 2017! Click here for more Stuttgart news!